This is a little something I did Saturday night. I did this sketch of Chester Bennington of Linkin Park as I listened to six songs off of their new album "A thousand suns". I put a sample of the songs on the making of video. Make sure you check it out. You won't be disappointed. Later. 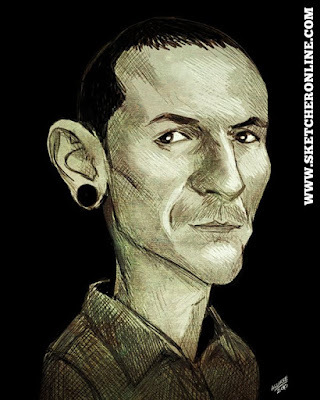 Sketcher - Chester Bennington Sketch from Arturo Aguirre on Vimeo.